The usage of some indicator paper. 1, Red litmus paper: it normally tests to see if the alkaline substance, blue, but before the test was wet alkaline gas. 2, Blue litmus paper: general use it to test whether acidic substances, red, but before the test of acid gas too wet. 3. 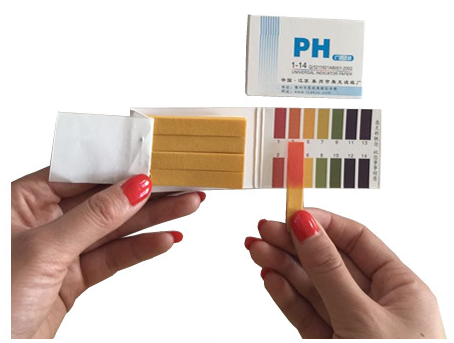 PH test: to test the acid-base substance, but only for the solution, must also be in the shortest possible time, and the ratio of the colors on the contrast. Also cannot touch water, otherwise it is diluted solution. 4, Starch iodide paper: its mainly for detection of oxidizing substances, to see whether the blue. The use of oxidizing substances can make the KI inside the I ion oxidation to I elements, and then reacts with starch, and color.